The Biomat King is designed to fit perfectly on any king size mattress. It is designed using the same patented Biomat 7000mx technology and contains the same materials and temperature settings as the best selling Biomat Professional. 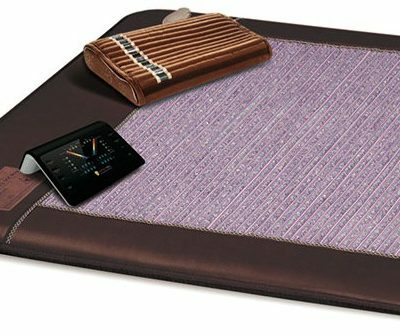 As a bonus, the Biomat King has two temperature settings that allows two people to comfortably use the Biomat King together, and each can customize the heat on their own side of the bed. 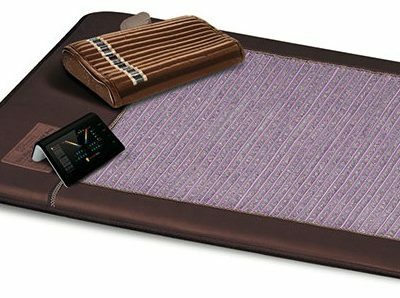 We recommend the King Biomat be purchased with 2 Amethyst Pillows and a Quantum Energy Pad for improved sleeping comfort. 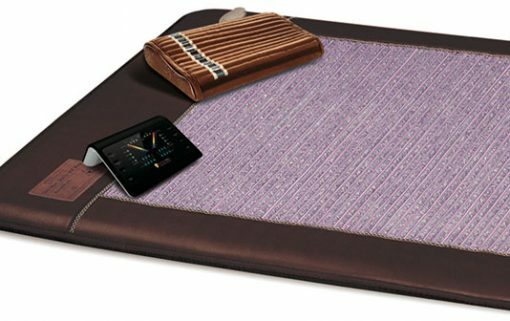 The Biomat King contains 35 pounds of pure amethyst crystals, visible through the clear panel that covers the entire surface. The weight of these crystals makes the Biomat King less portable than a Biomat Professional. However, many of our customers enjoy their Biomats so much they rarely sleep without them. The King Biomat is perfect if you want to leave it on your bed rather than moving it around, and you can sleep on it every night if you wish. For additional comfort during long sessions or overnight, consider purchasing a Quantum Energy Pad. Purchase of a Biomat King includes the 100% cotton padded Biomat cover (machine washable), and a control panel that makes it easy to use to select your ideal heat setting for either side of the bed. It also comes with a zippered storage bag, handy for moving or storing your Biomat King. We recommend adding two Biomat amethyst pillows to your purchase for optimal comfort and benefit. The King Biomat has a clear silicon panel that covers the surface of Biomat allowing you to view the beautiful Amethyst stones underneath. 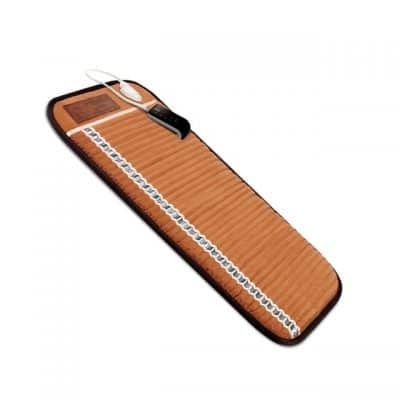 The King Biomat comes with a dual zone control panel with variable heat settings. Each side of the King Biomat can be controlled separately from the same controller. The control panel offers eight variable heat settings. 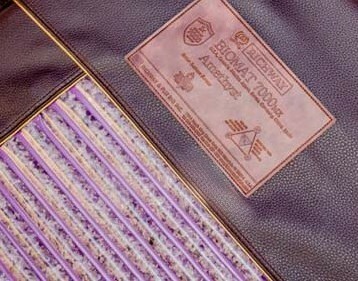 The Biomat King contains 35 pounds of amethyst crystal. The Biomat King protects you from harmful electromagnetic fields (EMF). Most electric blankets and heating pads emit harmful EMF. Don’t risk your health by sleeping on anything but a Biomat.